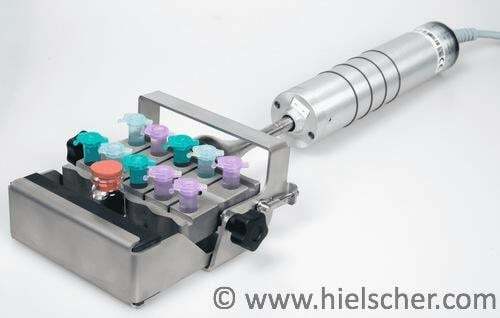 Ultrasonication is a safe and efficient method of tissue homogenization. Ultrasonic applications include the preparation tissue and emulsions, the extraction of proteins, DNA/ RNA and active compounds, or the activation/ inactivation of enzymes and yeast. Precise controllability of the ultrasound allow for targeted sample preparation. Tissue homogenization is a sample preparation process where animal and plant cells or microorganisms are prepared prior to the extraction of intracellular matter such as proteins, DNA, or RNA. The cell membran must be ruptured to release the cell contents. After breaking the cell wall, the intracellular macromolecules float in the buffer solution so that organelles, proteins and DNA/ RNA become available. Ultrasonic tissue homogenizers and cell lysers are very efficient tools for cell disruption, lysis and extraction. Ultrasonic homogenizers are commonly used for tissue grinding, cell disruption & lysis and homogenization of biological samples prior to the extraction of intracellular matter in the molecular range. By the controlled sonication of the samples, all steps from lysis to extraction and homogenization can be carried out using the same ultrasonic cell disruptor. 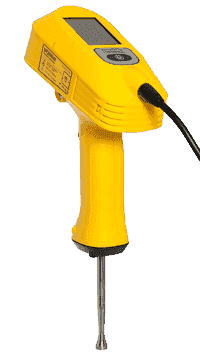 The great advantage of ultrasonic homogenizers lies in the easily adjustable power input and sonication intensity. Hielscher’s ultrasonic cell disruptors (lysers) allow to control sonication intensity by adjusting the amplitude from 20% to 100%. 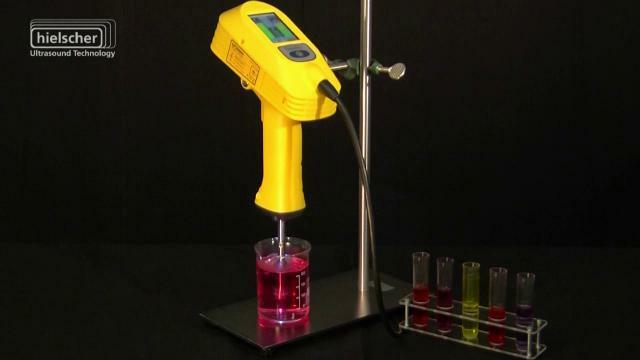 Alternatively to the continuous operation, the ultrasonic homogenizer can be set to cycle mode, e.g. for the sonication of heat-sensitive tissue. Sonication in pulse mode means the ultrasonicator generates high intense ultrasonic waves in periodical cycles. The duration of the sonication period and the rest time can be individually set by the user. At pulsed sonication, during the rest period, the sonicated material can return to its resting state and the sample can cool down (using the rest time for heat dissipation). Thereby, processing intensity can be set accurately in accordance to the tissue and unwanted sample heating is reduced. Ultrasonic tissue homogenizers are robust and user-friendly whilst producing reliable results assuring reproducibility due to full control over all important process parameters. 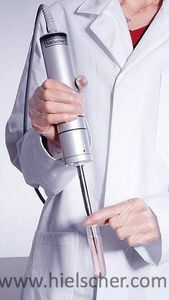 Common applications fields of ultrasonic tissue grinding, cell disruption, lysis, extraction and homogenization are found in biological and pharmaceutical laboratories, microbiology, proteomic and genomic research (e.g. protein release before Western blot and enzyme-linked immunosorbent assay), but also in the production of extracts and active compounds for the food, pharma and cosmetic industries. 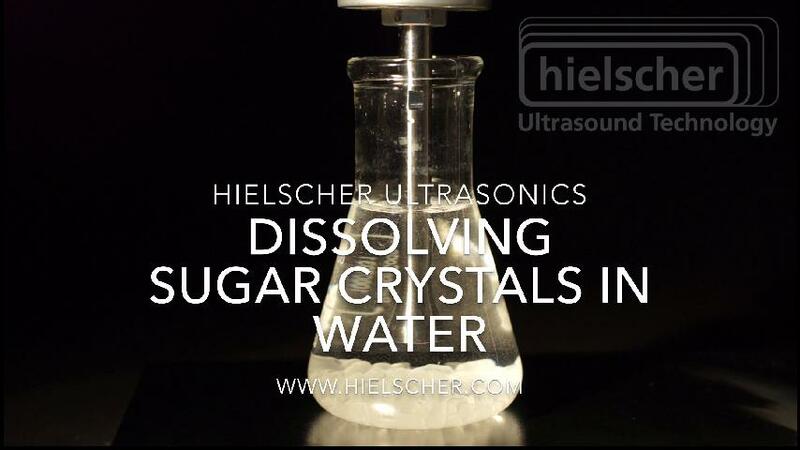 Hielscher ultrasonic tissue homogenizers are available with an ultrasound output range between 50W to 16,000W (16kW). Laboratory workers are pleased by the simple and intuitive operation of Hielscher’s ultrasonic lab homogenizers. Depending on the specific requirements, Hielscher devices come with digital or analog control. The VialTweeter is a powerful ultrasonic device that allows the simultaneous sonication of up to 10 vials or test tubes at the same intensity. Due to the indirect sonication, cross-contamination and sample loss is completely avoided. The cleaning and sanitizing is reduced to a minimum due to the use of disposable vials. The block sonotrode is autoclavable. In the range of probe-type lab ultrasonicators, devices can be selected with 50W, 100W, 200W, 250W and 400W. For larger process volumes, the bench-top ultrasonic disruptors are available with 500W, 1000W, 1500W and 2000W. And for high volume streams, ultrasonicators of 4000W, 10,000W or 16,000W are clusterizable and thereby capable to lyse and homogenize virtually every amount of cellular matter. all digital devices are equipped with automatic data recording (on an integrated SD/USB-ComboCard), plugable temperature sensor and browser remote control. Click here for specific process recommendations concerning sample preparation, tissue homogenization, lysis and extraction (e.g. cells, bacteria, spores, active compounds)!